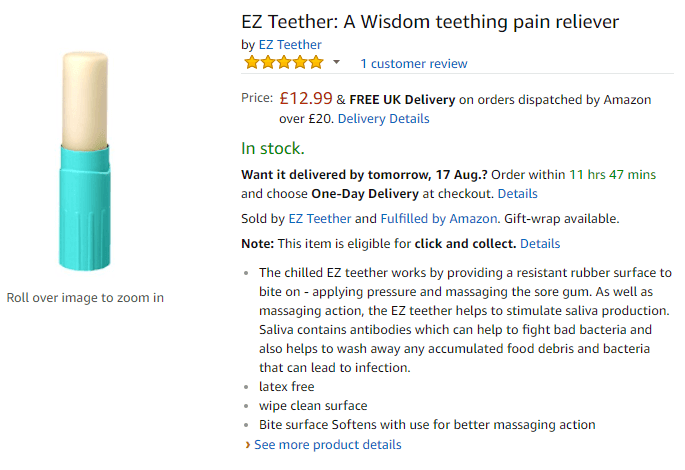 After a successful pre-order stage following months of development, research and testing we’re proud to announce that the EZ Teether is now available on Amazon. The EZ Teether was originally sketched using a diagram from a university textbook, since then it’s undergone several refinements and improvements to become a medically certified and commercially available product. You can now get your hands on the first adult teether of it’s kind. We hope that our invention will help people across the UK manage and relieve their frustrating wisdom tooth pain.